Configuration of Alfresco can be a bit challenging. It takes some time to get a feel for which file needs to be modified and what directory that file is in. 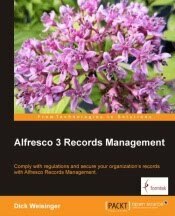 Part of the reason for the number of files has to do with the fact that Alfresco is based on Spring, and Alfresco has adopted Spring configuration methodology. In Alfresco 3.2 some of the complexity around finding where to make a configuration change has been simplified. Alfresco introduces the concept of the alfresco-globals.properties file. This new file tries to centralize as much as possible basic Alfresco configuration parameters and settings. alfresco-globals is basically a global override file. The goals was to try to simplify common configuration settings into a single file. Rather than centralizing everything into one file, which would be quite large and unwieldy, parameters defined in this file override parameters defined elsewhere in the standard configuration files used up until now. Override values for Alfresco subsystems are also set in the alfresco-global.properties file.